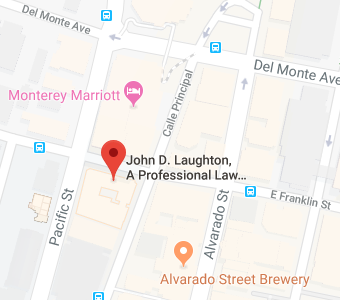 Mr. Laughton is an estate planning and elder law lawyer in his 40th year of law practice. He is committed to your peace of mind and solving your problems by providing personalized legal services in a highly ethical, professional, solution oriented, and cost effective manner. This article examines trying to exert control over your beneficiaries after death. Often, clients try to dictate the exact manner in which funds are used. Usually, it is a better course to give the trustee discretion. This article examines the death of Charlotte Fox, one of the most famous mount climbers ever, who fell down her stairs at home. You never know what risks might be around the corner, so you should be prepared. The article looks at the elements of a basic plan. Only 44% of Americans have even a simple Will. We procrastinate for several reasons. Learn those reasons and how to push past them. Learn, briefly, why planning is important. We all want to pass on certain things like our family traditions, a grandmother’s quilt or dad’s love of books but no one wants to pass on a serious illness. Help protect yourself and those around you by asking your doctor about vaccines at your next visit. In 2013, only 24% of adults ages 60 and older had received a shingles vaccine and only 17% of adults older than 19 had received a Tdap vaccine. Each year, thousands of adults suffer, are hospitalized, and even die needlessly as a result of catching diseases that are preventable by vaccines. Are you one of the millions of adults not fully vaccinated? Are you unsure of which vaccinations you need? Vaccine-preventable diseases can make you very sick, but you also risk spreading diseases to others. People with weakened immune systems, such infants, older adults and those undergoing cancer treatment) are especially vulnerable to infectious diseases. They are also more likely to have severe cases of the illnesses and complications if they do get sick. You can help protect your health and the health of your loved ones by getting your recommended vaccines. The good news is that getting vaccinated is easier than you think. Adults can get vaccinated at doctors offices, pharmacies, workplaces, health clinics and health departments. Visit vaccine.healthmap.org to help find a vaccine provider near you. Most health insurance plans, including Medicare part B, cover the cost of recommended vaccines & Call your insurance provider for details. Not sure what vaccines you may need? The CDC offers a short quiz at www.cdc.gov/vaccines/adultquiz to help you find out which vaccines you might need. You can take the results of your quiz to your provider to discuss which vaccines are right for you. All adults should get an annual flu vaccine to protect against seasonal flu and Td/Tdap vaccine to protect against tetanus, diphtheria and pertussis. You may also need other vaccines based on your age, health conditions, occupation and other factors. If you are planning to travel outside of the U.S., check on any additional vaccines you may need. Some travel-related vaccines are part of a series or are needed months in advance of your travel to be most effective, so be sure to plan ahead. Find out at www.cdc.gov/travel. For more information about adult vaccines: www.cdc.gov/vaccines/adults.